Adult behavioral health services provide an integrated approach to recovery from mental illness, addictive disorders, or co-occurring disorders; managing behavioral health conditions in a safe and stable environment. If you or someone you know has a problem with opioids (heroin or prescription pain medications), there is help available. 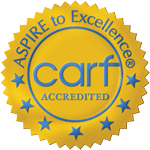 Capital Area Human Services provides screening, assessment, and referral to detox and medication-assisted treatment for individuals with opioid dependence. Capital Area Human Services also provides a Vivitrol maintenance program, which includes medication and therapy as effective tools for preventing relapse in individuals who have stopped abusing opioids. Call (225) 925-1906 or click here for more information. Priority Notice Our addiction recovery programs give priority admission and preference to treatment in the following order: 1. Pregnant injecting drug users; 2. Pregnant substance abusers; 3. Injecting drug users; and 4. All others. *Services available only for current CAHS clients. **Referrals are based on location and availability of services.